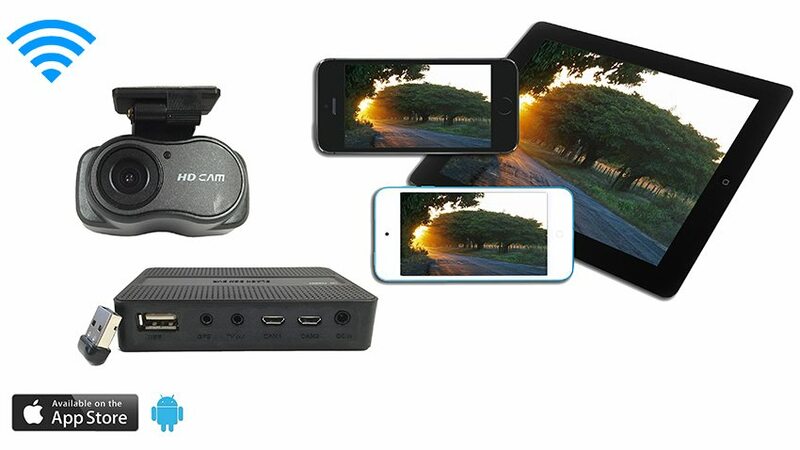 This is the best dash cam for those on a budget, this dash camera with mobile DVR allows you to record the inside or outside of your car with a very easy to use app. This dash cam some equipped with a built in USB wifi adapter that will allow you to stream and download videos to your smartphone or tablet. If you are a Lyft driver on a budget and you want a record of a problematic customer this is the system for you. Not only can you download the videos to your phone, we made sure to compress the video so that you can email or even text it to whoever you want to see it. To make installation simple the mobile DVR and dash camera also includes a cigarette adapter, most people have this system up and running in 10-15 minutes. The included dash camera also records audio and has standard night vision. There are also many setting that can tweak your system to fit your specific needs and they all can done through our custom app that work with iOS and android. We also upgrade our software regularly so that you will always have the latest functionality such as our recently added “power saving mode” if you are a person who is concerned about vandals damaging your car this dash cam has a “surveillance” feature that will leave the camera recoding while you are not in the car. You can have the camera activate when there is movement or record continuously 24/7, the power saving feature will automatically stop recording before your car battery runs out of power, therefore you will never have to choose between jumper cables and surveillance. One final bonus is that with our most recent upgrade, if your car is within wifi range of your phone, you can monitor the vehicle from your house. This is a great solution for anyone in the transportation industry especially people looking for an Uber cam.